When I first heard of clubfoot from Dr. George, my immediate reaction was to think of polio, but I couldn’t have been more wrong. He was patient with my lack of awareness and gave me a brief explanation on the syndrome and on the organisation that provides treatment to eliminate the disability caused by clubfoot. The curiosity of it all led me to document this project. I was at first boggled by the statistics that out of more than 50,000 children being born yearly with clubfoot in India, only 13,000 were enrolled in the program, provided free of cost by CURE International India Trust (CIIT), the organisation Dr. George is a part of. I had initially assumed I was part of a small minority that wasn’t aware of the deformity, let alone the free treatments being provided for its cure. As they are a non profit organisation, lack of resources and manpower proves difficult in spreading information on clubfoot and its cure. At present, there are 20 state level programs across the country. In the few clinics I visited in Delhi, I came to learn that most parents were referred to visit the weekly clinics by word of mouth from someone they knew. That number continues to grow by the day and could someday help CIIT realise their goal to eradicate disability caused by clubfoot in India. I hope the collection of images will also contribute, by generating awareness to help bring them closer to their goal. Vinith (14 days), cradled by his mother. Clubfoot is a birth deformity where the feet are twisted inward. It can be corrected given the proper treatment. Parents with their children, wait their turn to meet the orthodontist at Kalawati Children Hospital. 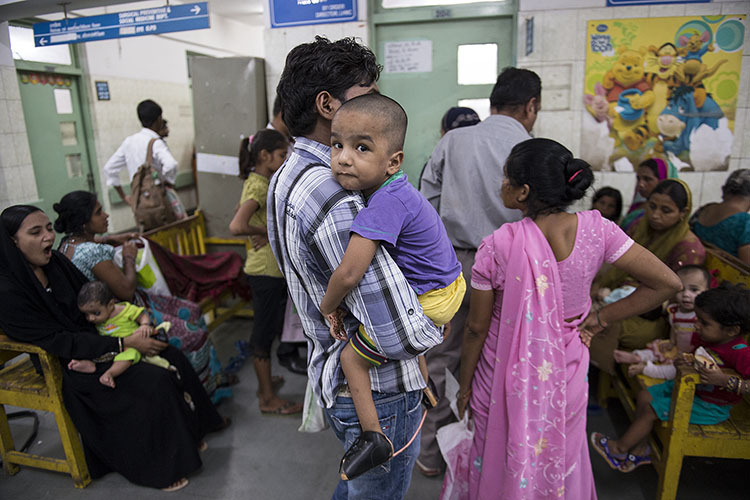 It is estimated there are more than 50,000 cases of children born with clubfoot syndrome yearly in India. Many are unaware it is a curable deformity and most children born with it are misunderstood as polio infected children and live physically challenged, for the rest of their lives. Dr. Anil Agarwal, head orthodontist at Chacha Nehru Bal Chikithsalaya, reviews a case with junior doctors. 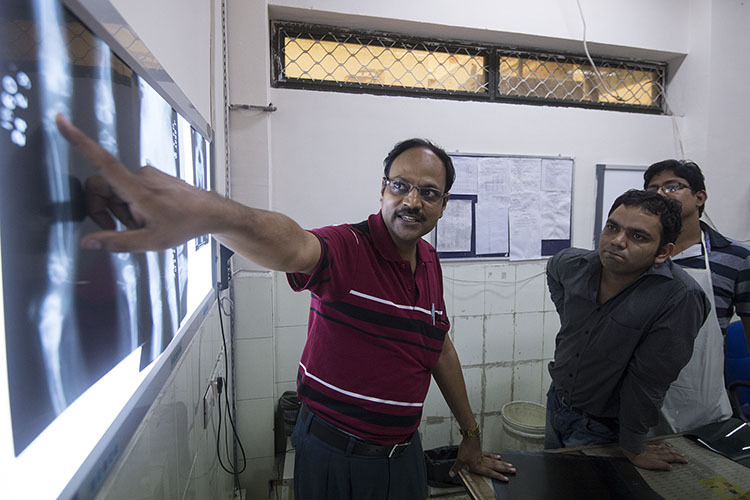 Him and other doctors like him, work closely with Cure International India to bring treatment for clubfoot at public hospitals across India. Cure International India Trust (CIIT) is a non-profit organisation started in 2009 to eradicate disability caused by clubfoot in India. The team is led by Dr. Santosh George, and their efforts are focused on providing free medical treatment to children suffering from clubfoot syndrome. 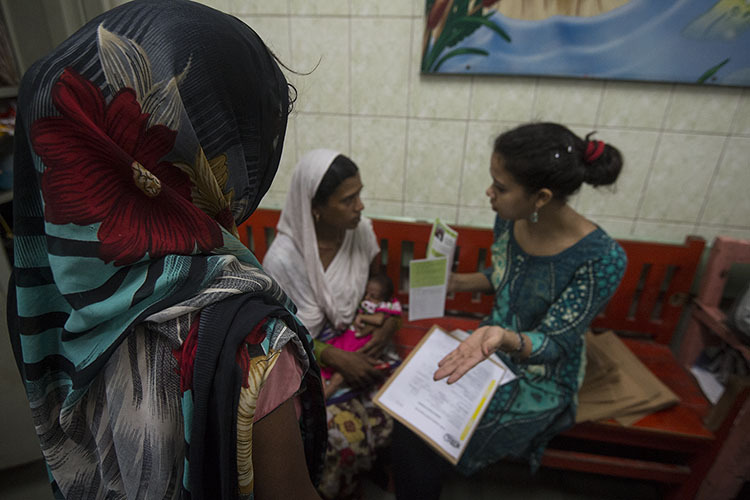 Partnership with government health care programs has not only helped provide care at minimal cost to families but also allows access to the program for the poorest of the poor in the country. 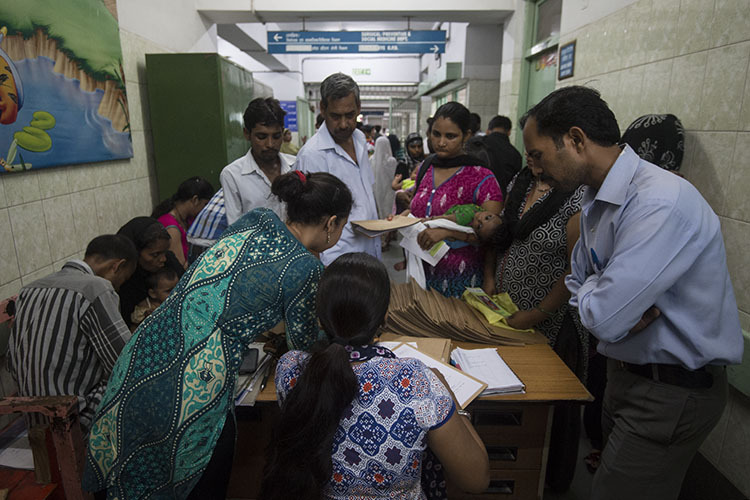 Parents and guardians gather around the registration counter at one of the weekly clinics organised by CIIT in collaboration with various public hospitals. Weekly clinics are arranged at specific public hospitals to ensure the children have regular access to treatments and also for parents to meet and encourage one another on their child’s progress. 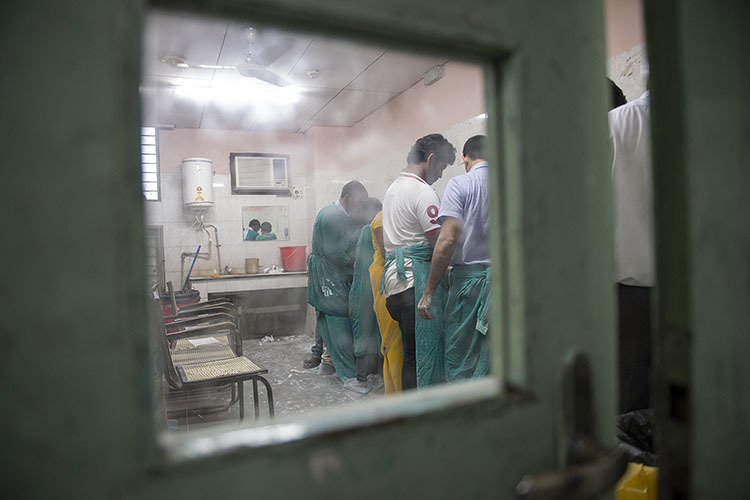 Doctors at work at one of the weekly clinics. The Ponseti Method, named after late Dr. Ignacio Ponseti, is used to treat clubfoot. The procedure is relatively uncomplicated and involves serial casting, a tenotomy, shoe braces and weekly clinic visitations. A fresh cast has been applied on Kajal (8) as part of the Ponseti method. 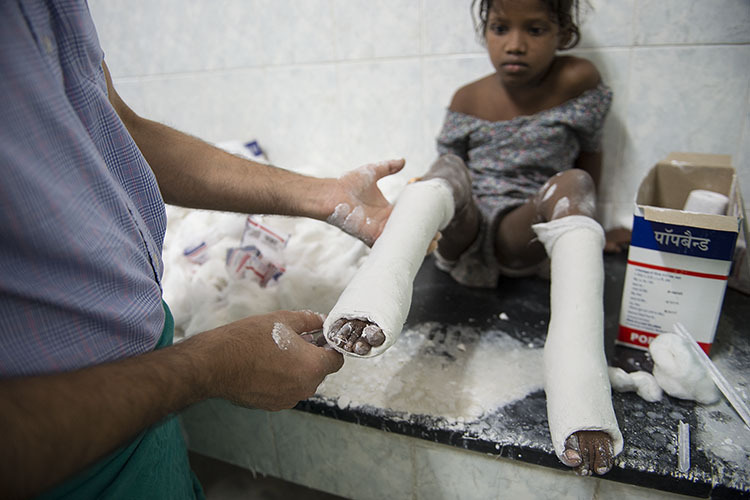 Casts are applied weekly for the first 4-8 weeks depending on the severity of the case. A tenotomy is performed under local anesthesia to release the heel tendon, which is otherwise resistant to stretching. It involves a minor incision to cut the heel cord that doesn’t require stitches to heal. A final cast is applied post surgery for another 3-4 weeks while the tendon heals. A counselor shows a mother how to correctly put on shoe braces. These braces play a crucial role in returning a child’s feet to their normal state. The fist 3 months are called the maintenance phase. It is imperative that the child has the braces on for 23 hours a day during this phase for the treatment to work. The next phase is for 4 years, but the braces need only be worn when the child sleeps. Surabhi, a CIIT counselor, provides a mother counseling while another waits her turn. Equally integral to the program, as the doctors who administer the treatment, are the counselors who take on the momentous task of instructing parents on the tasks required of them for their child’s therapy. They also ensure children don’t miss weekly clinics by collecting contact details of parents and sending them reminders before the scheduled date. 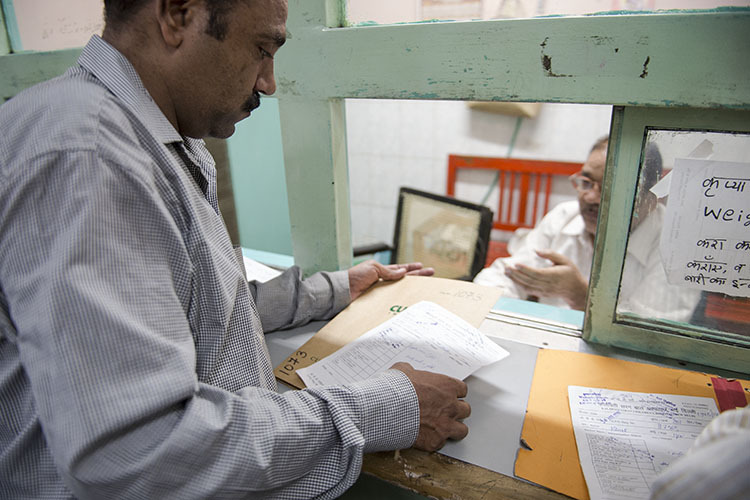 A father submits the registration papers and fees for his child’s treatment. The entire program is available free of cost and parents are required to only pay a minimal one time fee for registration at the respective weekly clinic. Nazeem (6) looks on as his mother removes his cast at a weekly clinic. Parents are given active roles in their child’s therapy. One major task is the child’s braces, as they are the only ones who are able to monitor and ensure that the child has them on for the required duration. 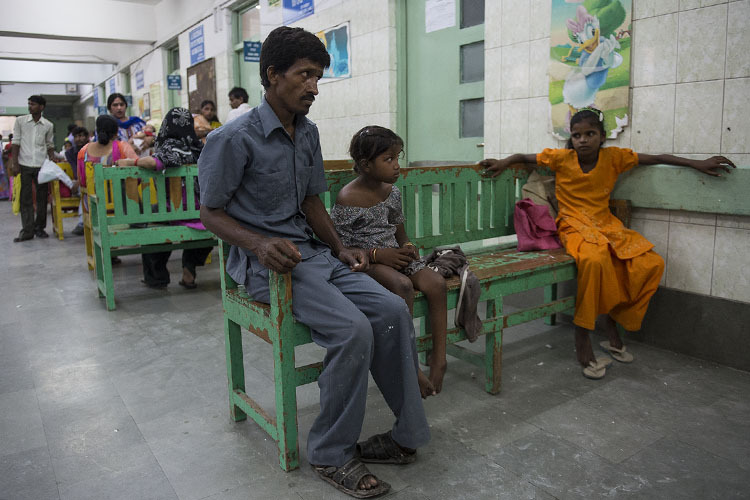 Kajal (8) and her father, permanently afflicted with clubfoot, wait her turn for casting. Clubfoot is non hereditary, but if left untreated beyond a certain age, causes permanent deformity. 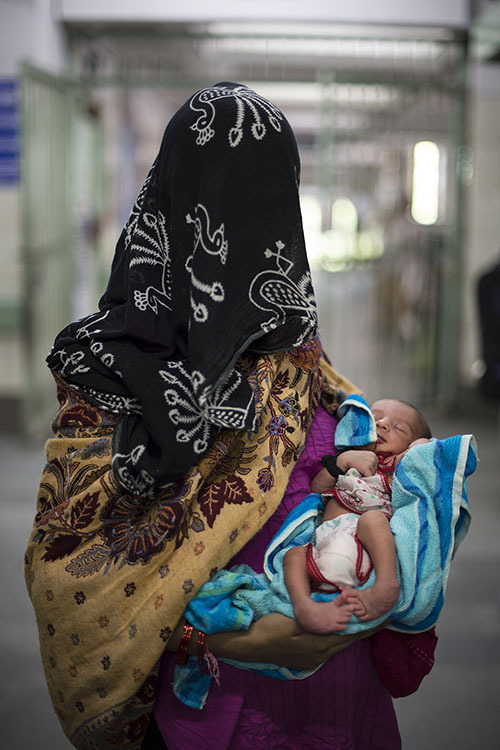 Shumaila holds her son Arahan (1) while her sister waits with her at a weekly clinic at Lok Nayak Hospital. 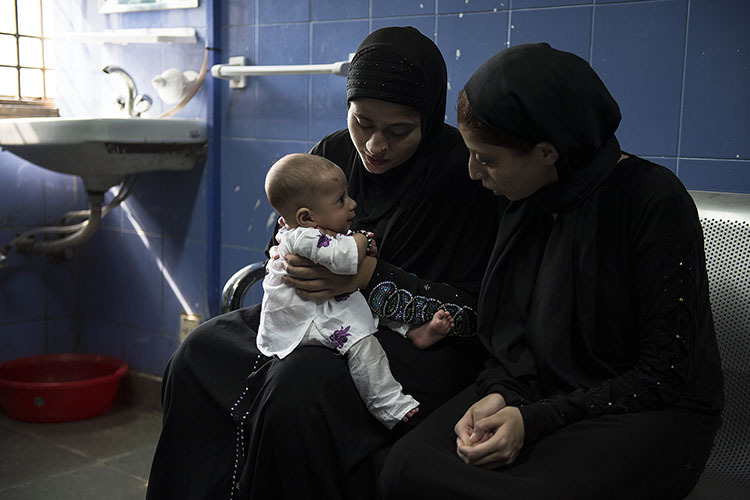 Shumaila left her husband’s home and returned to her father’s, as her in-laws and husband wanted her to have an abortion when they learned that the child had a deformity. 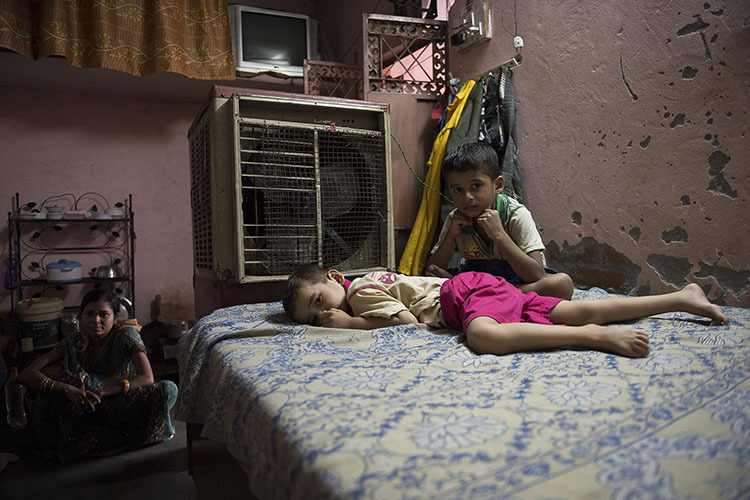 Anurot (4), lies on the bed as his brother sits beside him at their home in Shahdara, Delhi. He started his treatment when he was only a week old and recently turned four, marking the end of his program and a permanent end to his disability. A newborn, with his first cast, begins his 4 year program. 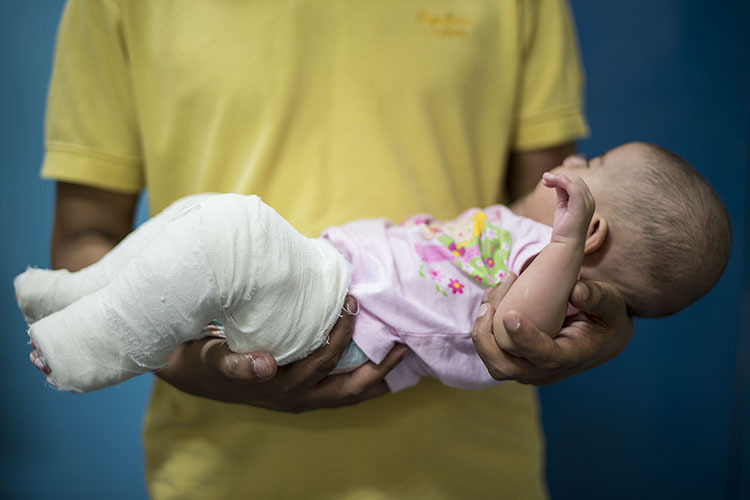 Him and other children, born with clubfoot, now have a chance for a better future free from disabilities.